Did you know you can deliver packages with your own car? It’s true! Today we have a Amazon Flex review and tips from Kris P. in San Francisco, who is working for Amazon Flex as an independent delivery driver to make extra money to travel with his family. If you’ve been wondering what it’s like to branch out and drive for delivery with Amazon Flex, read on for a review of his experience and tips you should know before getting started. If you’re interested in signing up for Amazon Flex then you might also be interested in signing up to deliver for Postmates and Doordash. 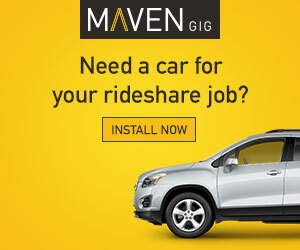 See a full list of sign-up bonuses for rideshare and delivery services here. What’s it like to be an Amazon Delivery Driver? Like many people, my family and I love to travel. We’ve set up a travel fund, into which we divert a few hundred bucks a month, but it’s never enough. Since we want to travel more, I came up with the idea of trying out some of the on-demand jobs out there. I tried out being an Amazon Flex driver, which surprisingly a lot of people don’t know about. The sign-up to become an Amazon Driver was easy, just fill out a simple app and Amazon runs a background on you. The catch is you have to actually wait until there is an Amazon Flex jobs opening (unlike Uber where you can apply at any time). My application was approved in two days, and I began to receive offers on the Flex app on my phone. From a rookie’s perspective, here are some pointers for you future Flexers to help you maximize your time, which I wish I had known going in. After all, time is money, right? I’m in the San Francisco Bay area and these tips should apply no matter where you are. Most offers here are in the $20 per hour range, although I’ve seen a 4 hour block for $100 a few times in Silicon Valley. 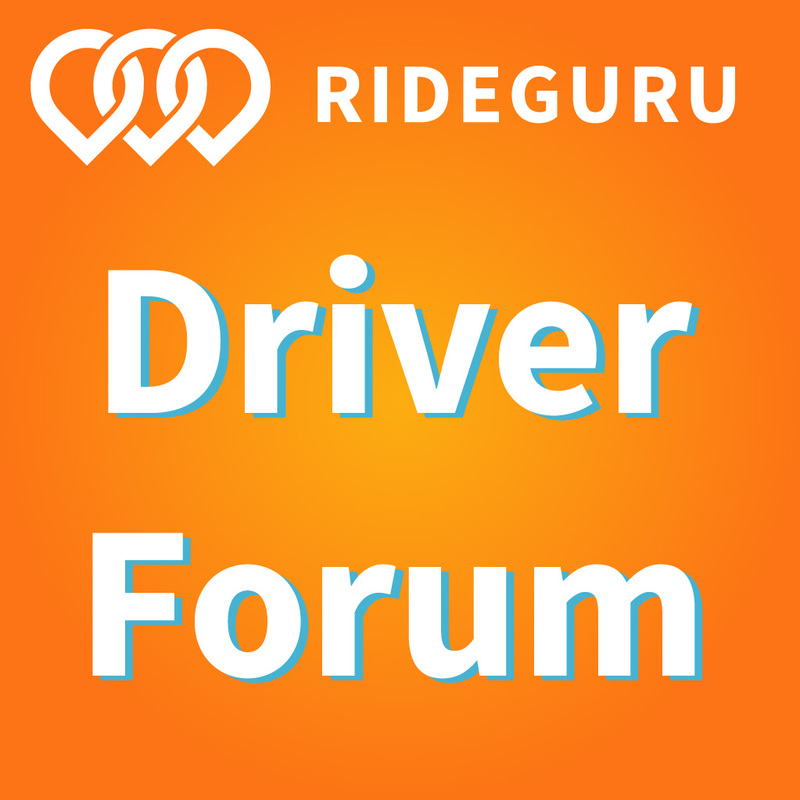 Want more information on driving for Amazon Flex? Get our top 10 Pro Tips Guide below! Your block time is just an estimate of how long it should take to complete your run. You earn the entire amount whether you finish early or take longer. For example, on my very first trip with AmazonFlex, I accepted a 3.5 hour block for $70. After 4 hours, with 10 more boxes still to go, I called Flex Support and they told me to bring back whatever I had left to the warehouse. I earned the $70, since the time block was estimated for 3.5 hours, but I went over that. The time block is, as I mentioned, just an estimate on how long Amazon Flex expects delivery to take. The tips below will help you get started as a new Amazon Flex delivery driver and maximize your time driving, so you can earn more and spend less time on the road. 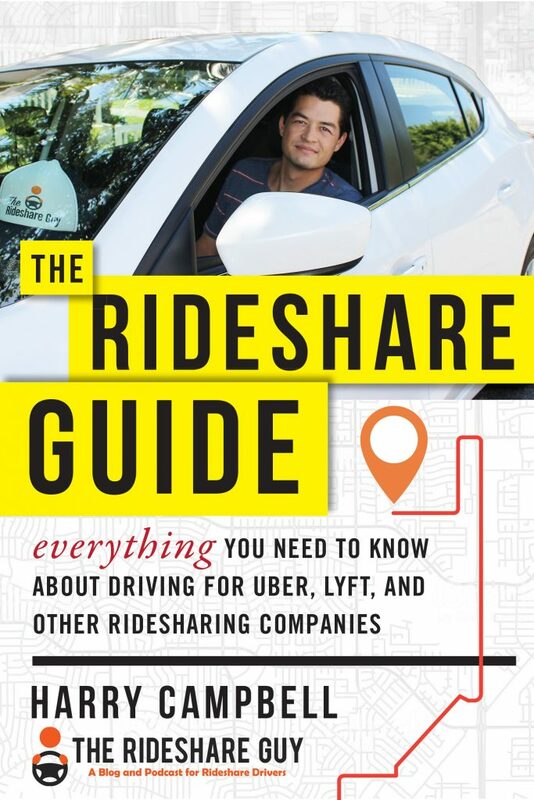 Similar to an Uber or Lyft driver, your phone is an important tool, so make sure you have the best one you can afford. Make sure you have a magnetic phone holder (you can use the same one you use to drive for Uber/Lyft) and make sure your phone is charged fully. You’ll be taking your phone on and off the holder, and the last thing you want is to be constantly adjusting your holder. Also, your battery will drain. Fast. Especially in low reception areas. Every time you scan and miss that barcode, your phone will beep and vibrate like there’s no tomorrow. The Flex Amazon app definitely puts your phone’s CPU to the test. When you reach your delivery point, you’re ready to jump out with package in hand. I can’t tell you how many times I sat in front of a house searching for a package. I had one homeowner come out and cautiously ask “Excuse me, can I help you?” while she peeked into my SUV full of random Amazon packages. I explained to her what I was doing. When I said “like an Uber for Amazon” she went “ahhhhh.” So if anyone asks, just say you’re a private Amazon courier or an Amazon parcel delivery driver. By moving as many packages as you can in your current cluster to the front, you’ll save time by delivering faster and more efficiently. Instead of marking the package undeliverable, do everything humanly possible to deliver that package. I tried to be the good Samaritan and mark some packages as unsafe to leave at door. In hindsight, I should have left the packages hidden or left them with a neighbor. Being a huge Amazon customer myself, I always appreciate the package being left, rather than getting redelivered. Worst case scenario is the package gets stolen. But Amazon has a great policy on replacements. If you have undeliverables at the end of your shift, guess what? You have to trek back to the warehouse to return them. That’s one of the downsides of being an Amazon Prime driver. Want more information on becoming an Amazon Prime Delivery Driver? Get our top 10 Pro Tips Guide below! I used my older 4Runner, and boy did I need every square inch of cargo space. If you have a car, I guarantee you’ll be stacking boxes on your back seats. Also, you’ll be starting and stopping your engine a lot, sometimes, within 500 feet from your last stop. My 4Runner gets about 19 mpg, which isn’t great, but the utility in this case was worth it. Honestly, your gas mileage when Flexing isn’t as critical as it is with Uber. Your stops are usually no more than a few minutes drive apart. This last one is more of a general tip – be courteous and dress comfortably, but still look professional. At the warehouse, I saw a guy in tore up dirty pants with an oversize sweater and a backwards hat. Put yourself in a homeowner’s shoes. You can bet the neighbors will be suspicious when you start taking pictures of packages left on doorsteps. Yes, pictures are required when leaving a package unattended. How Much Can Amazon Flex Drivers Earn? At the end of my shift, I had $70 in my account. Obviously, my main expense was fuel – I logged 63 miles on my route and at current pump prices, it cost me about $10.75 in gas. So, before taxes, I net about $59.25 for what took me 4.5 hours for just a little over $13 an hour. The more you get used to the system, the faster and more efficient you’ll get. In hindsight, I bet I could have finished my shift in under 3 hours (especially if I didn’t have to go back for returns). Not bad for being an Amazon delivery contractor. Stay tuned for a more in-depth look at the numbers in a future post. Happy Flexing! If you run into any trouble, you can contact the Amazon Flex customer service number at (877) 212-6150 or (888) 281-6901. Hope these pointers will help some of you out there. The faster you get through your shift, the faster you can get home. And maybe even pick up a last minute shift! How much money does an Amazon delivery driver get paid? Per Amazon, you can make $18-25 per hour. Does Amazon Flex run a background check? Yes they do run a background check and it takes about 2-5 days to process. Is Amazon Flex insurance provided? Yes the program does provide commercial auto insurance that covers auto liability coverage, uninsured motorist/under-insured motorist coverage, and contingent comprehensive and collision coverage. Read their FAQ for more info. Is Amazon Flex worth it? Driving for Flex can be worth it if you’re using it to diversify your gig economy income. For example if you’re having a slow Uber day, see if there’s a Flex block available. What are the hours that you have to work? If you pick up a shift for the day, you are expected to work during business hours in what’s called a “block”, which can last 2-6 hours. Related: Read more on driving with Amazon Flex here! Kris P. is a full time CPA, a dad and a husband from the San Francisco Bay Area. In addition to Flex, he also drives for Uber. 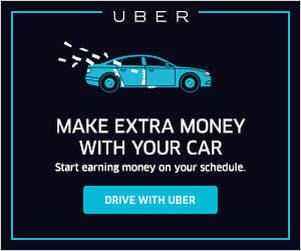 All of his on-demand earnings goes straight to a separate travel account. No more weird looks from neighbors with our Package Delivery designs. Gear and gadgets to make your job as an Amazon Flex driver better. Flexible: For a sturdy non-magnetic option, these RAM mounts are the gold standard, with adjustable grip tension and a variety of other options. If you have a deep dashboard, you can even accessorize with an extension arm to bring your phone closer in. A dashcam is the cheapest insurance policy you can buy. Having a dashcam in your vehicle means you can use it as evidence if you’re ever (heaven forbid) involved in a collision and you’re not at fault. This is one of the most important things I’ve bought. I don’t have the best back and driving for long periods of time makes me a little sore. But making the investment in this has been worth it, as I’m able to drive for longer periods of time. Here’s a more expensive one. I prefer to invest a little more in things like sunglasses because you sometimes get what you pay for. The cheaper ones can get scratched easier, for example, and the polarizing technology is more high tech in the established brands. My family loves to call me, so for me personally a bluetooth headset has come in very handy when driving!